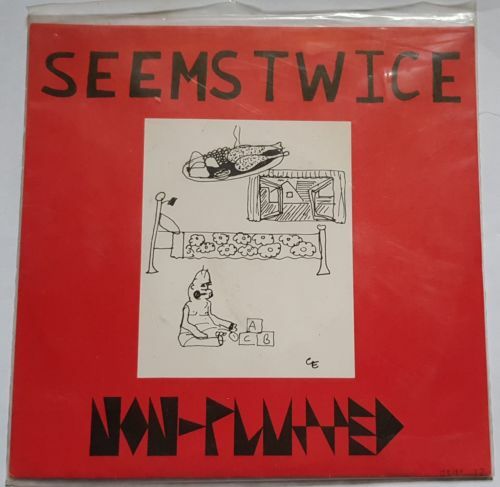 AMAZING ORiGiNaL Australian 1980 pressing of Seems Twice's 7" ep Non-Plussed!!! Thought Criminals related and GREAT with 12 songs!!! Record condition = NEAR MINT or MINT. I ship on Saturdays. All auctions must be paid for within 3 days of end of auction. All NON-U.S. BIDDERS MUST pay using PAYPAL. I only combine shipping costs. Foreign postage: $20.00 for REGISTERED air mail - REQUIRED DUE TO THE COST OF THE ITEM!! !